The Prophets is one of a series of six textbooks covering the Old and New Testaments, all written by authors who have extensive experience of teaching students in their first two years of university-level study. This book offers an exploratory approach that enables students to engage with the text for themselves, and not simply to be passive learners. It offers activities and challenges at introductory and intermediate levels, key background information needed to work at the required level, and ideas for further thought and reading. Students will discover: the kind of literature they are dealing with: the historical context and background of the prophets: the major questions in the scholarly study of these books: the structure and purpose of each book: the major themes and theology of each book: issues for today arising from each area of study. 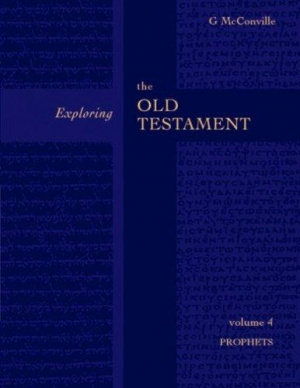 Prophets : Vol 4 : Exploring the Old Testament by Gordon McConville (Senior Lecturer in Theology and Religious Studies, University of Gloucestershire) was published by SPCK in October 2002 and is our 14604th best seller. The ISBN for Prophets : Vol 4 : Exploring the Old Testament is 9780281054329. Be the first to review Prophets : Vol 4 : Exploring the Old Testament! Got a question? No problem! Just click here to ask us about Prophets : Vol 4 : Exploring the Old Testament.